Do your dirty denims accompany you from pillar to party? Take a leap of faith, and stock your wardrobe with these new-age classics. All-purpose blue blazer? Check. Khaki pants? Check. Tan oxfords? Check. 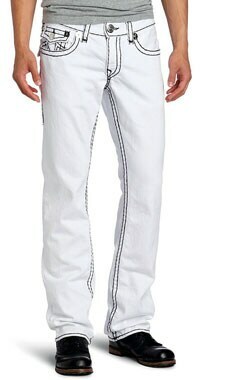 White jeans? Umm, no. If a roll call of your wardrobe goes along these lines, it's time to upgrade those snazzy threads. We're not asking you to go neon this season just because everyone else is doing it, but it wouldn't hurt to widen your horizons by investing in a few form-flattering cuts and designs. Men's fashion usually tends to teeter precariously on the brink of an abyss of outrageousness or dissolve into boring greys and blacks. So, here's how you can add a stylish zing to your wardrobe without looking like you're trying too hard. Larger-than-life Hawaiian print redux and flamboyant florals have taken the ramp by storm, but it's their quieter (but chicer) cousin you should be looking out for. You can eventually make a transition to mammoth flowers splattered over your chest, but fine print lends that gorgeously edgy look that most men can pull off with ease. Miniature patterns create an illusion of a structured silhouette, which is best complemented by a navy or grey blazer. Make a style statement at work with a dark tie, and slip into loungy evening mode simply by removing the tie and blazer. Start with combinations of grey, purple, white and blue and move on to, who knows, maybe a bit of yellow or red! Move over, tortoiseshell frames, we need some colour on the lenses! Whatever be your poison - wayfarers, aviators or clubmasters - pick the ones with mirrored lenses. Not just limited to beach outings and outdoor parties, these can add a zing to any laidback outfit. 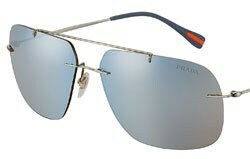 When you combine glamorously masculine aviator frames with stunning reflective lenses, you get flawless style sense. Or rock a pair of vintage round frames. Aquamarine, blues and greys work best for men. Men's jewellery has been around for a while now, and if you haven't jumped on the bandwagon yet, make haste. We recommend nautical-inspired jewellery for its sleek minimalism and rugged appeal. The manly charm of bracelets made of high-quality leather cord, resembling ropes in navy stripes or muted shades, is timeless. The tiny brass, silver or gold anchor dangling from the cabling doubles as a dapper fastener. If your bracelets are devoid of embellishments and hooks, slip on three or four of these and fold the sleeves to show off your arms. The best thing? You can experiment and pair them with any watch, classic or complication. The cropped trouser is the mark of the discerning man. 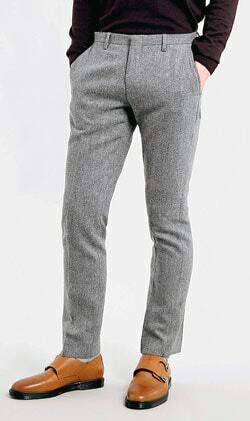 Invest in one of these, or opt for a slim fit pair of chinos that are perfect for pulling off the cuffed look. Now, it's not an everyday office trend, but there's no harm in charming co-workers with the teeniest hint of ankle show with brogues and cuffed pants on a Friday. The visual break of a cuff at the end of a pair of sleek tapering trousers makes a subtle but oh-so-stylish statement. Some men can pull off the skinny cuff even on the thick fabric of denims, but we'd advise you to approach the trend with extreme caution. Warning: Cuffed, cropped, rolled or otherwise, your trousers should not be more than two inches above your ankle. Apart from the ripped and baggy jeans in varying shades of blue lurking in your closet, you need a pristine, white pair for casual dressing-up days. Summer is almost over, but the Riviera look can be tweaked to suit any weather. Pair it with a light trench or a natty blazer on chilly evenings. It streamlines your form, makes you stand out in a good way, and lets you go wild with pastel mix-and-match. Moreover, it makes the colour on your shoes pop! A versatile, age-flattering pair could well turn out to be your trademark look. However, be wary of the too-snug fit and invest in one that is slim and structured without being skinny. Knits exude comfy luxe, and silk knitted ties are no different. Convinced that these aren't for you? Think again. 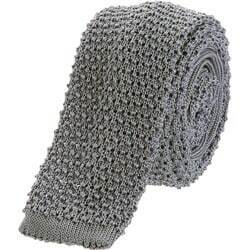 Woven silk ties may seem over-the-top, but are the perfect accessory to staid suits. Go for bold stripes if you're feeling adventurous, or a simple rich colour like burgundy or teal to pair with a grey suit. For a man looking for a utility angle transcending style, there is the fact that mornings will be less rushed; its thick layered texture allows just for a simple four-in-hand knot. It can be paired with woolly sports coats and blazers with equal panache. Ties tend to lie like neglected junk at the back of your closet, yes, but you could do a lot with something as versatile as this.